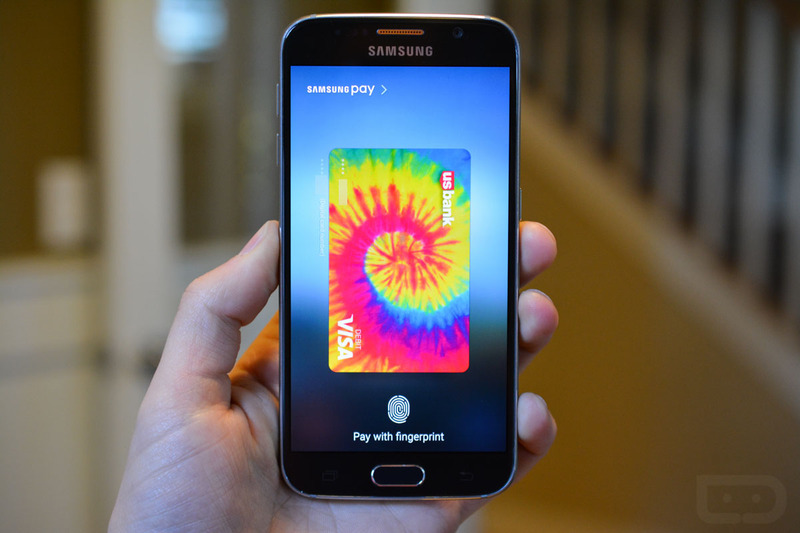 Samsung Pay, the company’s mobile payment app, is now available on Google Play. For owners of compatible devices, this is where you will install updates, view changelogs, and send feedback on the app via Google Play’s rating system. At the moment, is seems Samsung is not currently allowing any new users, as downloads have been frozen, at least on our end. We cannot seem to access a compatible list of devices either, but it’s safe to assume you will find the Galaxy S6, Galaxy S6 Edge, Galaxy S6 Edge+, and Galaxy Note 5 on that list. As a note to Verizon customers who own a compatible device, you should see an update or have already installed one that allows for the installation of Samsung Pay from Google Play. Own a compatible Samsung device? Be sure to grab the app, or any updates that are available. Anyone here loving Samsung Pay as much as we are?